Thai Healing Massage is not just a fancy name for Thai Massage. It has a very specific meaning, at least in the context of our training school, Thai Healing Massage Academy. I live in the Thai Massage capital of the world, Chiang Mai, Thailand. 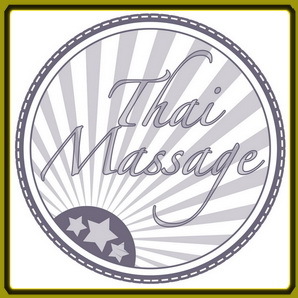 There are Thai Massage schools and establishments all over the place, sometimes several within one block. There is no such concentration of Thai Massage anywhere else that I have seen. And I have been all over Thailand. However this does not mean that in Chiang Mai you also get the best quality of massage compared to anywhere else in the world. 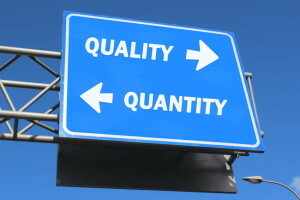 Quantity does not necessarily equal quality. It is a strange phenomenon that it is actually quite difficult to find a good Thai Massage in Chiang Mai, or anywhere else in Thailand, as a matter of fact. When people come to Thailand for the first time, or if they just spend a short time here, they are generally very impressed by any Thai Massage. It is new, it is really different, it seems exotic, and the reaction is often “amazing”, “impressive”, “far out”, etc. But those of us who have lived here for some time have become more discriminating. After some time you cannot help but notice that most Thai Massage sessions are pretty much on auto pilot, one-size-fits-all sessions. The therapists often do many sessions in a row without a break. They frequently chat with each other, answer their mobile phones during the massage, and clearly do not connect with their clients on a deeper level. If you ask for any specific work, they will always tell you that they can do it, but you still end up getting the same one-size-fits-all session with a couple of minutes thrown in on the area that you requested. The “therapy” generally consists of just pressing harder. The reason for this is that Thai Massage in Thailand has moved from a traditional healing method to a tourist attraction and sometimes a thinly veiled disguise for providing additional services that have little to do with therapy. For many therapists in Thailand this is nothing more than a relatively well paid job which can be learned fairly quickly. For them it has little to do with a calling, a passion, a sincere desire to help people, and a love for healing arts. It is just a job, and it shows in their sessions. There are definitely very qualified, intuitive and expert Thai Massage therapists in Thailand, but compared to the sheer number of therapists, they are a small minority. They can be hard to find unless you stick around long enough to explore, get tips from other long time residents and track down the really good ones. What Makes the THAI HEALING MASSAGE system unique? Thai Healing Massage is my answer to the issues mentioned above. I started to look at the strengths and weaknesses of your typical Thai Massage. Then I gradually went about improving all the weaker areas by including either my own modified techniques, or techniques from other modalities. Next I made all the courses available in an interactive and instructor supported online training format, so that students from all around the globe could have access to excellent Thai Massage training. our most popular program, a highly detailed, easy to follow Complete Thai Massage online video training course. This is not just a level one training, but a complete system. It covers ALL positions and techniques needed to be an effective and skilled therapist. It is available as an interactive, structured and fully supported online video training course with certification and CEU options. Typical Thai Massage sessions are mostly focused on the legs (the main strength of Thai Massage). 50-70 percent of any session here in Thailand is spent on leg work, whereas upper body work is not as well represented. In my Thai Healing Massage system I shift a lot more emphasis to the upper body. Thai therapists almost never touch your abdomen. And if they do, it is generally an unpleasant experience. Therefore I developed Dancing Hands Abdominal Massage. This is a simplified version of Chi Nei Tsang which blends perfectly with Thai Massage. Most Thai therapist’s skill set for good shoulder work is quite limited. Therefore I developed my Ultimate Shoulder Massage course which adds 70 shoulder techniques to your repertoire. Thai Massage does include some neck, head and face work. But it is often a hit-or-miss situation. You might be lucky and get a decent one, or it might be seriously sub-standard. None of all the Thai Massage schools that I had originally attended spent much time on neck, head and face. It was always more like an after thought. That’s why I developed Heavenly Head Massage, an in depth and very profound system for neck, head and face massage. Thai Massage relies a lot on direct and linear thumb pressure, and palm pressure with the hand at a right angle to the forearm. This can lead to problems in therapist’s thumbs and wrist joints like inflammation or even carpal tunnel syndrome. Many therapists had to give up their careers because of such problems. As a solution I developed Thai Rocking Massage which does not use any direct linear pressure but instead uses round and flowing rocking motions which do not stress any joints. Thai Massage is practiced most of the time as a standard, follow the book, one-size-fits-all treatment. I developed a series of highly detailed therapy courses which focus on specific areas of the body like shoulders, back, neck, arms, hands, hips, sacrum, or knees. These courses enable therapists to go beyond the standard Thai Massage style and learn to work on problem areas in much greater depth. Thai Massage is often practiced in a rather mechanical, routine way here in Thailand. It also has a reputation that it can be quite painful. Therefore I developed courses that take it to a higher and more refined level, like Massage Communication Secrets, Body Mastery For Massage and Magic Touch Secrets. Thai Massage is mostly done as a general whole body massage. 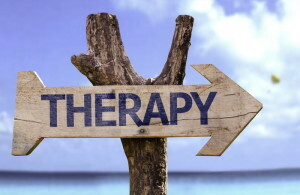 If clients have specific problems with their back, or their knees, or their hips, or their feet, most therapists don’t have enough specific therapeutic skills to address the problem effectively. The way to success in Thai Massage is to specialize, to become known as the person who can effectively deal with specific problems. You won’t become very successful as a generalist. You need very specific knowledge, otherwise you will be just one of many therapists who have added a little Thai Massage to their offerings. The Thai Healing Massage Academy courses are designed to take you from a Thai Massage generalist to a highly educated and effective specialist. Thai Healing Massage is Thai Massage refined, expanded, more focused on specific therapy, with a much bigger selection of techniques for upper body work, an emphasis on preserving the health of the therapist, and the inclusion of energy and yoga principles. It is possible, but not easy, to find excellent therapists here in Thailand who can do amazing work with Thai Massage. However it is very difficult to find a teacher or school that teaches at this level. The Thai Healing Massage system does teach at such a profound level with a large selection of therapeutic knowledge for many specific areas of the body. Thai Healing Massage Academy offers 20 courses that together bring you the most complete, refined, sophisticated, and effective Thai Massage training system you can find anywhere. All these courses are designed as online home study video training programs in a real academy setting with instructor support and interactive training. The author, Shama Kern, has been practicing and teaching Thai Massage for 16 years. 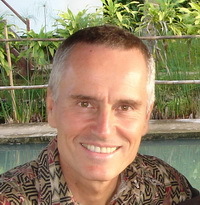 He lives in Thailand and is the founder and director of Thai Healing Massage Academy. You are such a good communicator, and as I’ve said before, everything you say resonates with me and my own approach to practicing and teaching Thai Massage. Even to me, as an experienced practitioner and teacher, your posts are really quite enlightening and inspirational. My idea with Thai Massage is to facilitate its evolution, worldwide – in all the many different cultures and ways that it can be experienced. My motto: Ancient Grace, Modern Method. So please keep up the good work. I am honored by your comment, thank you! I would love to meet you one day and share experiences or do something together. What you say about Thai massage can also be applied to a percentage of massage therapists in the U.S.. People who go to massage school because of the promise of a well paid career without any real calling for the work. They end up working in spas or chains where they churn out the same rote massages, never work the abdomen or really know how to work specifically with someone’s particular issue. I know this because I frequently hear from clients who are visitors to my town that their massage with me is the best massage they’ve ever had. While I am flattered by the praise, I am also saddened that their experience of receiving massages has been so obviously sub standard. Over and over I’m also told that no one has ever worked on there abdomen before. So thanks for sharing this and for developing your Thai massage course. Thanks Jyoti for your informative post. Actually I had the same experience as you from when I was doing massage work in the US. So I know your observations are correct. I guess these things apply all over the world. People do massage for different reasons, and some of them are not conducive to developing a highly intuitive and effective style. I am glad that you can provide such a wonderful experience to your clients! I seem to remember that you are from Sedona, is that correct? Thank you so much Ariana for your kind words. Your appreciation of my work is a great inspiration for me. In Thailand… And sit for licensure exam in the U.S.? I obviously have the anatomy and physiology.. And pathology expertise.. But will the licensing bards accept? What has been your experience!? Hi Patty, there are several answers to your question. First it depends which state you live in. In the US every state has their own rules regarding massage therapy. Most do require a licence, and some don’t. You might even want to check out if massage therapy, or parts of the training requirements, is covered by your medical licence. You can find that our from your state licencing board which deals with massage. Second, without taking your medical licence into consideration, no state which requires a licence would accept any massage course from Thailand as a full substitute for local training hours. 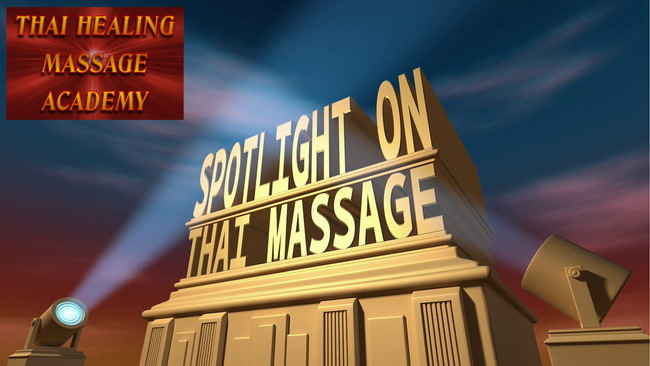 Most states require a minimum of 500 hours of massage training, and the testing is normally based on Swedish massage, performed on a table with oil on an undressed client. Thai Massage is totally different as it is done on a floor mat on a fully dressed client without the use of oil. Third, Thai Healing Massage Academy does not provide live training courses. We specialize in online training and have created a unique and interactive training environment. We are an approved continuing education provider by the National Certification Board (NCBTMB). However this is designed for continuing education credits which most states require so that massage therapists can maintain their licence. It is not meant to be a licencing program. In your case, the very first question is which state you want to practice massage in, and see what the rules are. Many people have very little training and start teaching it nevertheless. Thai Massage is still going through a maturing process in this regard. I have one teacher now that took a great training in person but not in my state..She was the one that got me thinking that the other training I received was not enough, that is what got me thinking there has to be other great programs to take, someone where there must be a great online program, and low and behold your site came up!!!! I don’t have the time as a studio owner these days to travel and take classes as often as I would like, this is the perfect solution and bonus an amazing course with a great teacher..Can’t wait to bring on Thai therapist heaven 🙂 here! The Complete Thai Massage course is tailor made for people in your situation! There are so many people who cannot just leave home and travel around to take courses. And even if they could, they have no easy way to retain the information from the live course unless they immediately practice it regularly. And even then, as you said, how do they know if they are doing it correctly! There is nobody whom they can ask. That’s a big advantage of good online training. You can always re-watch the videos, and if you get stuck with something, you post a question in our forum, and a few hours later you have your answer.